This is not a review of Westworld's second season. I felt like I needed to get that out of the way right now so no one has any false expectations going into this post. This isn't to talk about the overarching positives and negatives of Westworld and what it did right or wrong. Westworld is not a bad show. That being said, when I finished the second season my mind was filled with dozens of questions, but the one I kept coming back to was "Why don't I like this more than I do?" Why am I not head over heels about the second season when the first season was so rock solid? And really, I've been thinking about this for a while. A show that I used to watch every night on HBO as it aired turned into a show that built up on my DVR and sat there until I had nothing else to do. And I don't think I'm the only person that thinks that. I'm not someone that goes on Reddit to discuss the theories of Westworld, but I can tell just by talking to my friends that watch this and even some of the other Flixist staffers that something seemed off. So I'm going to try and vocalize and figure out what made me apathetic to a show about robot cowboys and samurais fighting against an evil corporation in an attempt to gain free will. In case this wasn't clear, I'm going to be completely spoiling all of Westworld so far. If you're someone that wants to get into the show, stop what you're doing and watch the entire series. It should take you about a weekend, maybe two. If you haven't seen the season 2 finale, make it a point to do so. I held off on doing this for a week just to give time for anyone that may have been behind on the show. Here be spoilers, there be spoilers, spoilers as far as the eye can see. So in order for us to talk about the second season, I think it's important that we just talk about the first season and what made it so special. Specifically, Westworld treated its audience with respect and knew that they were smart enough to figure out major plot points ahead of time. 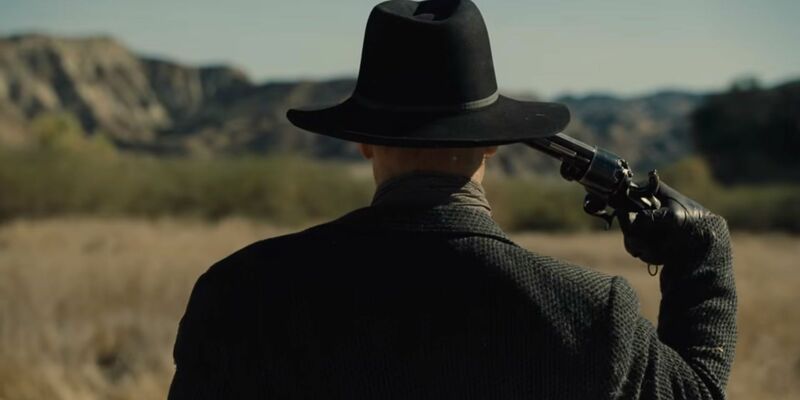 The community was able to piece together that William was the Man in Black, Bernard was a Host, Dolores was Wyatt, Arnold wanted the Hosts to make their own decisions, and the season was actually told in a split timeline, one where William was younger and one where he was an old Ed Harris. It was tricky to figure out, but eagle-eyed fans saw some clues and irregularities and cracked the code. And none of that is bad. I love shows that tease ideas and makes the viewers start asking questions about what they know like Gravity Falls. It helps the fans get more invested in the world and they start to have a stake in the action, trying to figure out if their theories are actually right. So when the second season was about to air, I had tons of theories about what could happen now that the Hosts were able to attack humans and Dolores was leading a rebellion against the humans. Jonathan Nolan and Lisa Joy, the showrunners, described season 2 as being a season "defined by chaos" and that's what we got. Just not in the way we were expecting. The second season decided to break away from the two separate stories from the first season and instead opt for a flashback narrative. 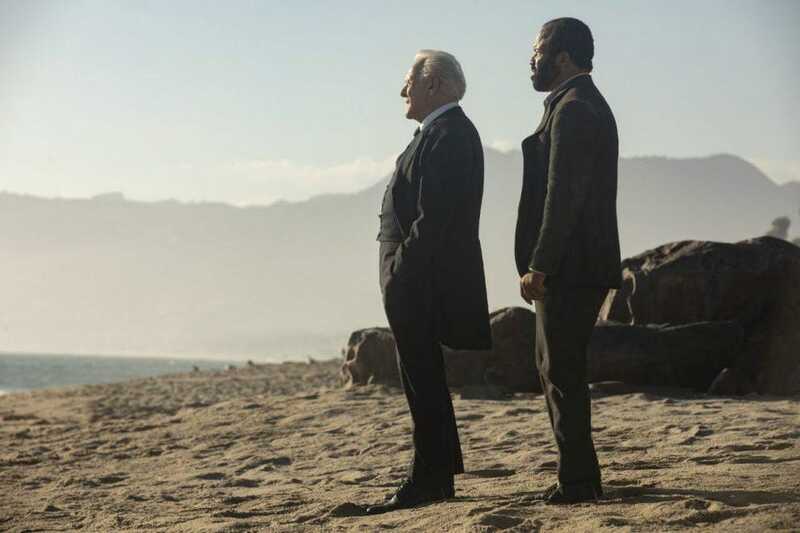 The first episode opened with Bernard on a beach, Delos operatives asked him what happened in the two weeks from when Dolores killed Ford, and we hit the ground running. However, the story was actually split between five separate characters, each trying to accomplish their own goals. Dolores wanted to lead a revolution to kill the humans, Maeve wanted to find her daughter, Bernard was trying to fix his memory and stop the rebellion (I think? ), the Man in Black deluded himself into thinking he was playing another one of Ford's games, and a new character, the head of the Ghost Nation tribe, Akecheta, was looking for a way to stop Dolores and find a place called the Valley Beyond. Eventually, all of these characters began to look for the Valley Beyond and converge there for the season finale. The problem was that even though so many plots were happening at the same time, it felt like nothing was truly happening. In a bizarre twist, the second season actually focused on diving into the backstory of Westworld itself. It explained how Delos became interested in Host technology and how Willaim became the head of Delos. It constantly felt like whenever we got some momentum going in the main plot, piecing together what happened after the Host rebellion, we were immediately taken away for some world building. World building is fine, but there's a time and a place for it. Take Episode 5, "Akane No Mai". 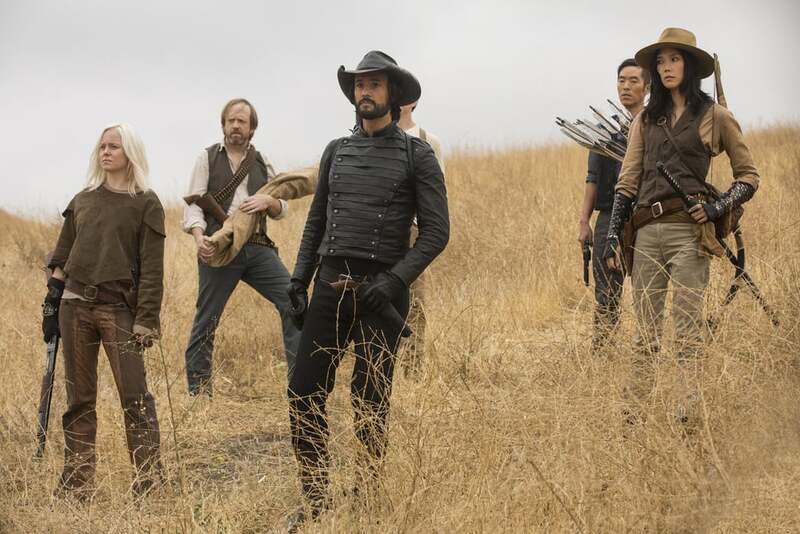 The episode centered on Maeve's group making a pitstop on their quest to find her daughter in the land of Shogun World, the Japanese answer to Westworld. In it, they help a geisha find her daughter-like apprentice and there's a lot of Japanese imagery and music. There's even a pretty kickass cover of "Paint it Black" that you should really listen to. But when the episode ended and the group left Shogun World, it was never spoken of again. Not in the slightest. Hell, it didn't impact the plot of the overall season. It was literally just a shortcut to get to Maeve's daughter and an excuse for the creators to play around with feudal Japanese sets. The episode was one of my favorites in the season, but if you're looking at the season as a whole, it's contributions were minimal at best. On the other end of the spectrum, Episode 8, "Kiksuya", served a purpose and explained the history of West World from the Ghost Nation's perspective and what they've been doing for the past 17 episodes. It shined some light on a group that we've assumed were bad guys and makes me want to rewatch the first season with this new information in mind. Even then, the action stops dead for an episode to explain what the Ghost Nation wants to do and what their plan is to get to the Valley Beyond. After rewatching it, this was another one of the best episodes of the season. It did grind the momentum of the story to a halt, but it all served to flesh out a group of characters and actually amounted to something in the finale. I can't help but feel that Jonathan Nolan and Lisa Joy struck gold with the first season, which they did, but they tried to make lightning strike twice. I don't blame them for wanting to do that, but they also made the season seem bipolar in a sense. It's like they wanted to have more mysteries and more "WHAT COULD IT MEAN???" moments, but also make the show more accessible and simpler for new viewers. It tried to treat its audience like savants, but also like they were clueless. I think that the best way to explain what I mean is to actually talk about the Valley Beyond. The Valley Beyond is a massive server called the Forge that stories the data and thought patterns of all guests in the park. Not the Hosts. Delos wanted to analysis what made each person tick and use that information for some nefarious purpose, which is hinted to be immortality. Each character wanted to do something different with the Forge. Delores wanted to destroy it, Bernard wanted to protect it, Akecheta wanted to become one with it, the Man in Black wanted to just find it, and Maeve had no interest in it because her story doesn't revolve around it. We learn about the Valley Beyond from the first episode, but we don't start getting an idea of what it's purpose is until the fourth episode, "Riddle of the Sphynx". Jim Delos, the former head of Delos, is shown being constantly produced in Host bodies in an effort to gain immortality, but it keeps failing because the Hosts can't contain his consciousness. The important thing is that none of that is directly told to us. We're just meant to extrapolate those details from the acting, the dialogue, and how William ages throughout the multiple scenes. That's Westworld's first season coming through, and it feels special to piece it all together naturally. What isn't so special is that Bernard, speaking directly to the camera in episode 9, explains to the audience what the Valley Beyond and outright says what Delos was attempting to use it for and what Delores wants to do with it. It sticks out like a sore thumb because by that point, it just felt like we were reiterating info that everyone knew for several episodes just so that people that didn't understand it could hop in and be on the same page. I get why the creators did it. I truly do. But to not trust your audience to piece together such an important point after an entire season of build up just seems off. And then we get to the finale itself. In typical Westworld fashion, it was an hour and a half, but most of it dealt with every character converging at the Valley Beyond. The climax was excellent, featuring Maeve and her entourage dying, the Man in Black having his hand blown off, Aketcheta reaching the Valley, Teddy finally finding peace in the Valley, and everyone getting to live happily ever after. But then we returned to the present. So can anyone tell me that they predicted that Hale was dead the whole time, her body was replicated as a Host, and Delores was walking around pretending to be her for the entire season? It was a shocking moment, yes, but it made the season collapse in on itself. A good mystery usually involves leaving some clues for the audience to figure out. For the life of me, I couldn't find any clue showing that Delores was Hale except for the fact that there was a little too long of a pause after a Delos operative confirmed she was human. But then we go down the rabbit hole even further because Bernard was the mastermind and purposefully scrambled his memories to make sure that no one could catch on to what the plan was. Admittingly, it's kind of a brilliant way to screw with the audience by being intentionally confusing, but being intentionally confusing doesn't always make for good storytelling. I'm reminded of watching Inception for the first time with how mind-bending it was. Despite it being confusing, it was still easy to follow along and that moment where the movie clicked for you was truly exhilarating. Westworld, on the other hand, just felt sloppy with its obfuscation. It left it all for the last 20 minutes and then expected you to just deal with it. And the less said about William's final scene the better. There are plenty of different topics I could go on about for days, but the end is still the same. I liked this season, but I didn't love it. It's landing was good, but it could have been better. I'm at least excited about the possibility of the series leaving the parks and focusing the struggle between Dolores and Bernard now that they've left Westworld. The possibilities are tantalizing, especially since Dolores smuggled several cores with her that may lead to some familiar faces returning. Jonathan Nolan and Lisa Joy were correct in describing that season 2 was going to be chaotic. They succeeded in making a story that very few people could piece together, but I can't help but feel underwhelmed by everything that happened. I feel like the parts were better than the whole for season 2. Elements were strong, and arguably stronger than the first season, but the whole was definitely weaker than the first season. I was enthralled with the first season, and I hope that the show gets the magic back when the third season airs.